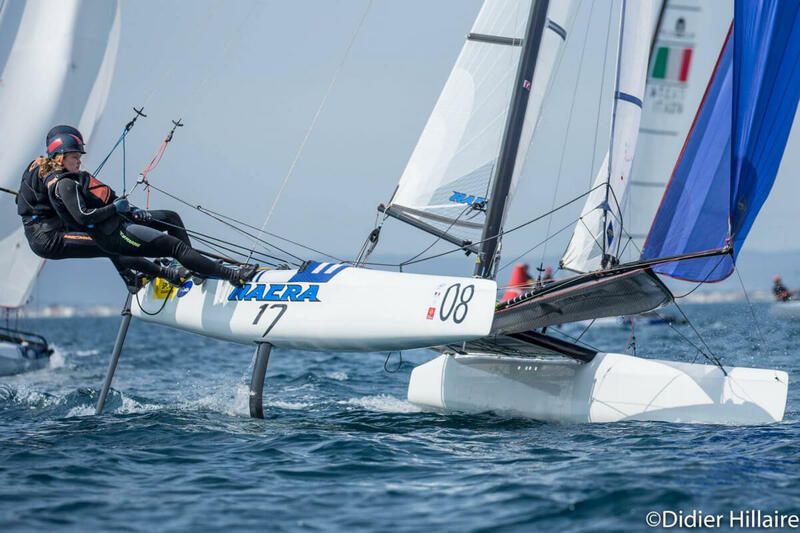 The NACRA 17 is used as the exclusive Olympic Multihull equipment in the “mixed multihull class” running up to the Olympic Games. 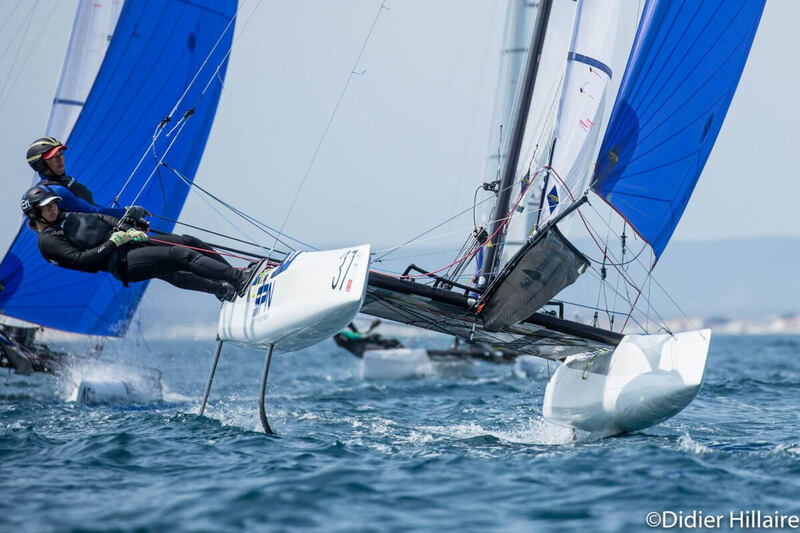 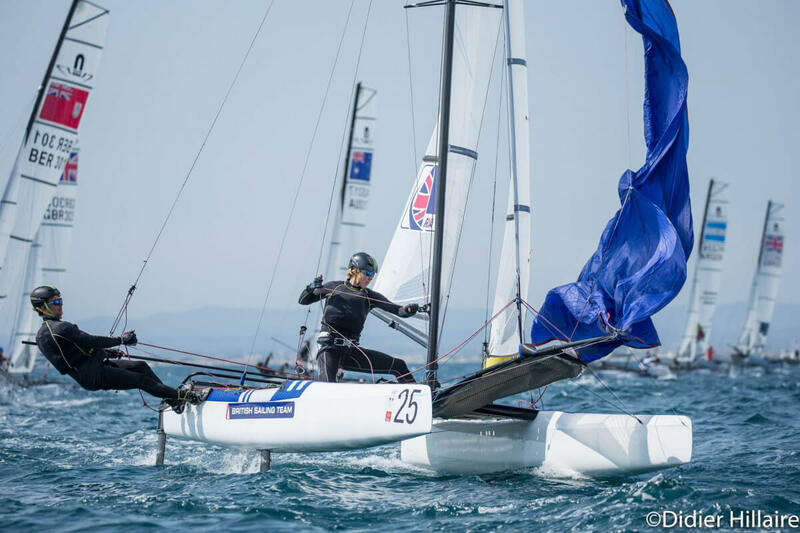 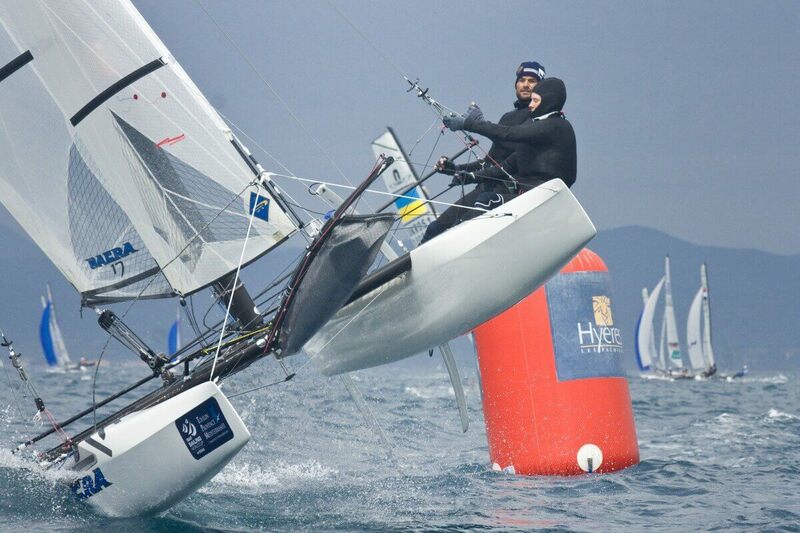 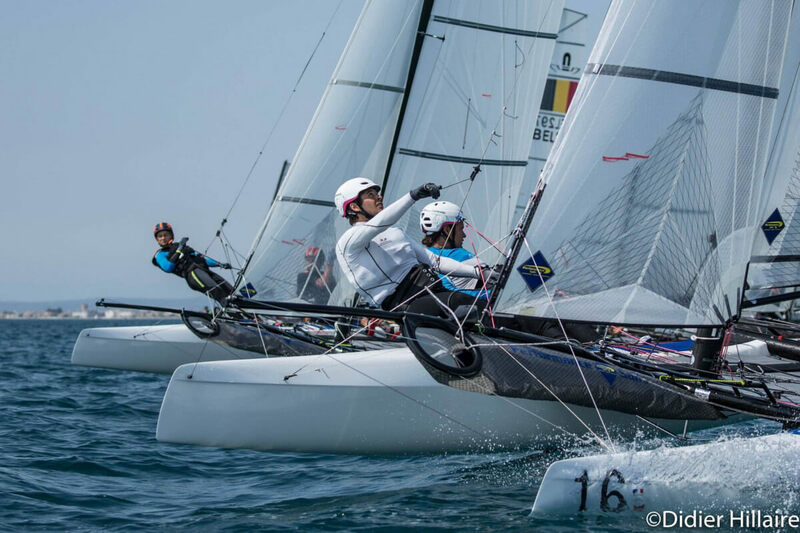 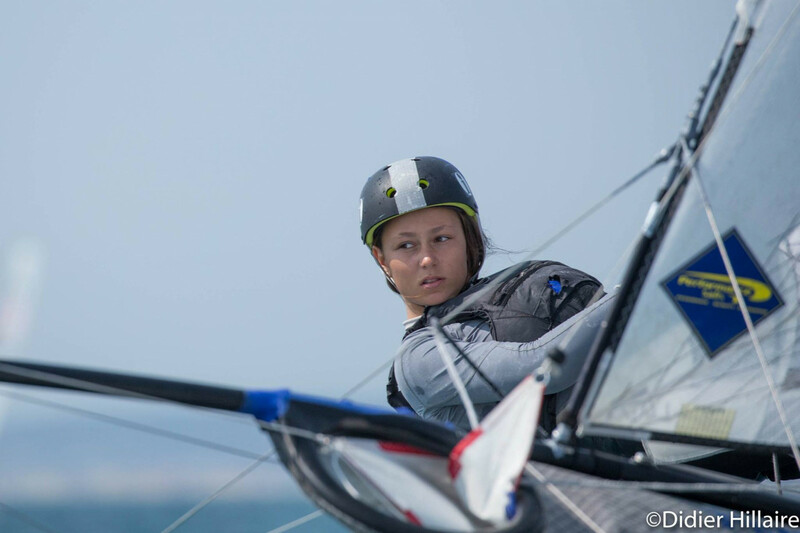 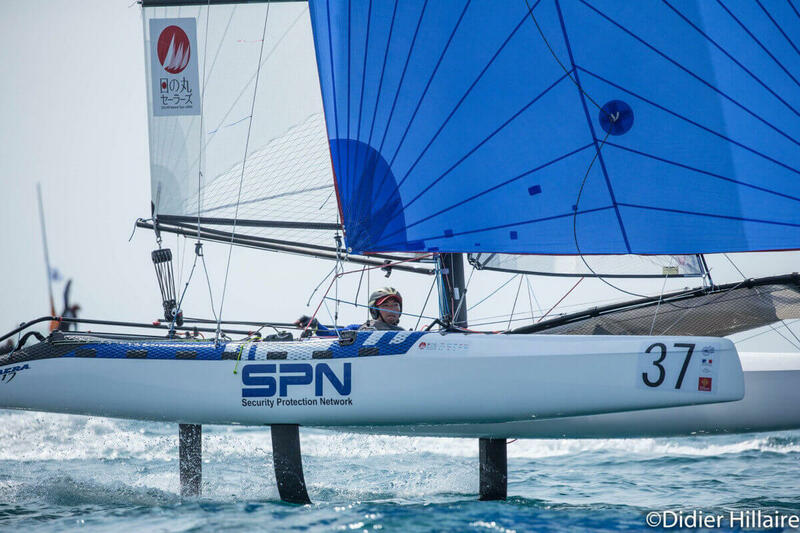 Every year there are several ISAF World Cups, World Championships and other continental championships where the elite sailors of the world in the catamaran are racing one another. 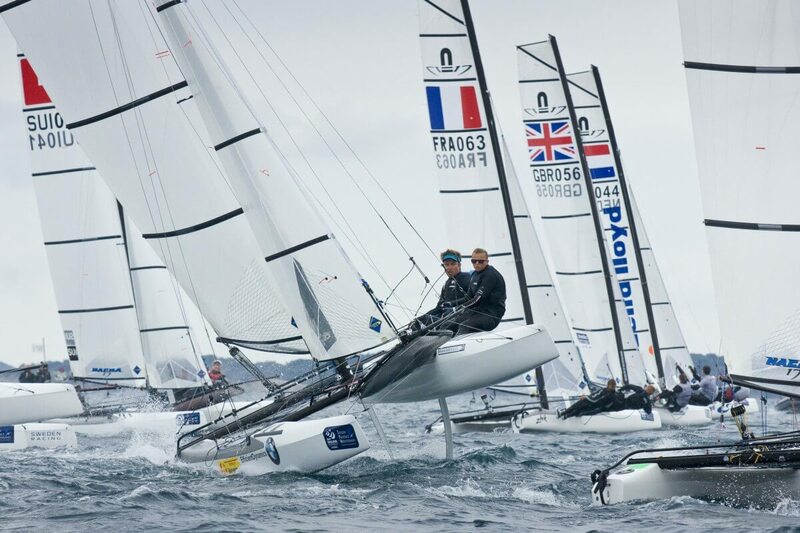 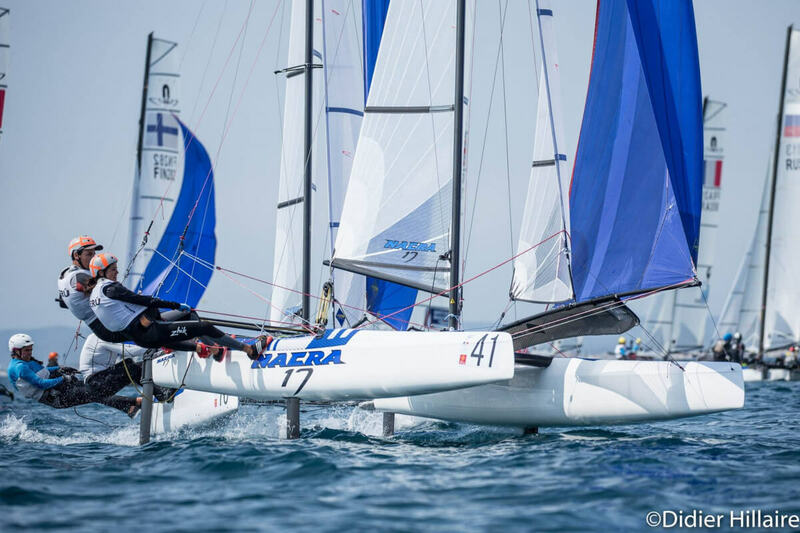 ​The NACRA 17 was designed from scratch to meet the specific criteria set out by ISAF for the 2016 Olympic multihull. 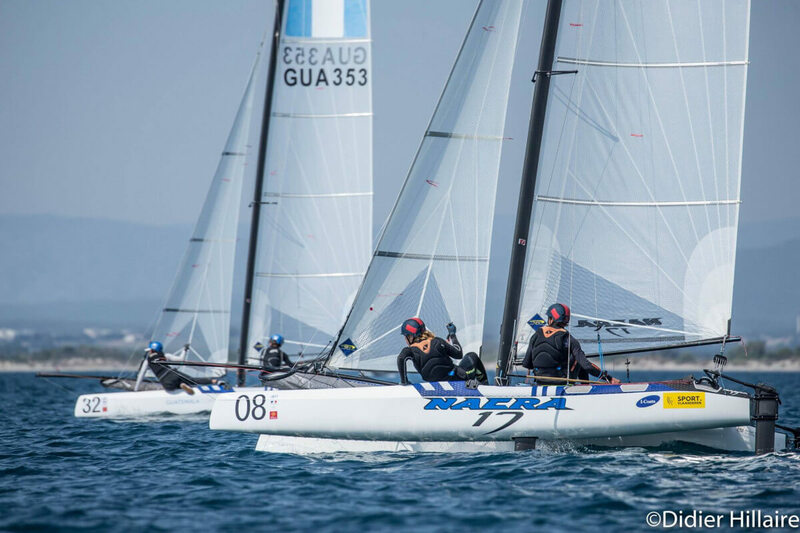 entering these products,NACRA also produce a Formula 16 and a Formula 18 catamaran and we had initially considered entering these products,but with some changes in order to more closely match the ISAF requirements. 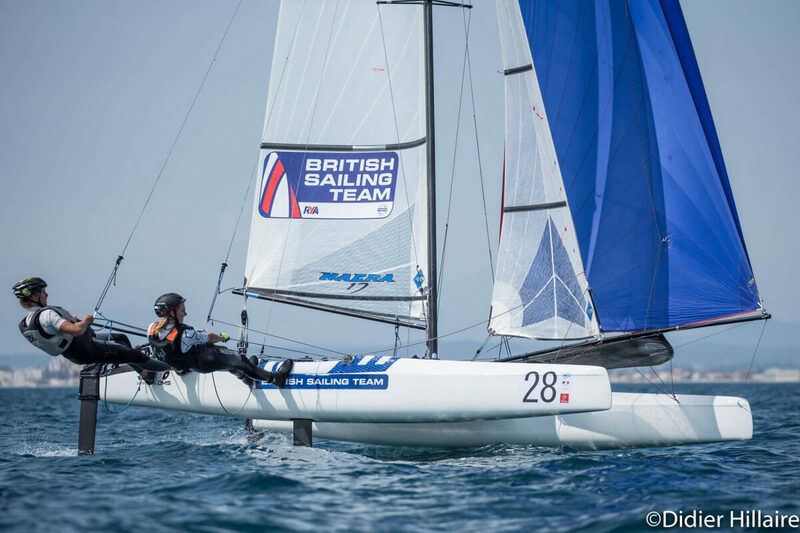 Since ISAF’s specification did not require the design to conform to any existing class rule, we were considering adding performance-enhancing features like a carbon mast and curved dagger boards. 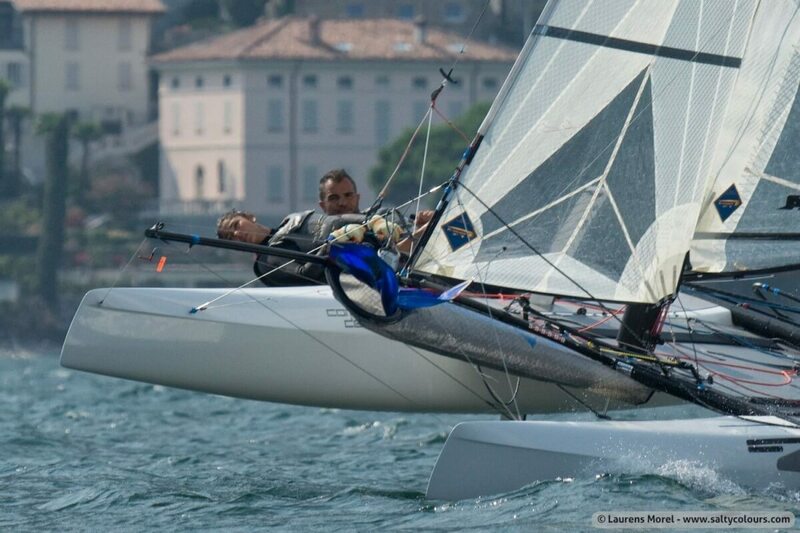 The F16 class and F18 class rules do not allow either of these features. 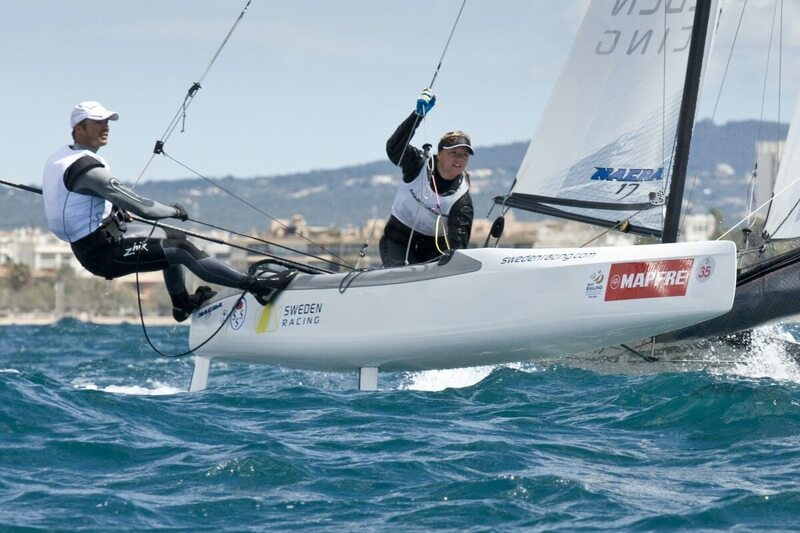 ​After doing some further research into the ISAF requirements and what was possible within this design space, we determined that neither the F16 nor F18 platforms would be ideal within the set ISAF criteria and for Olympic Athlete’s. 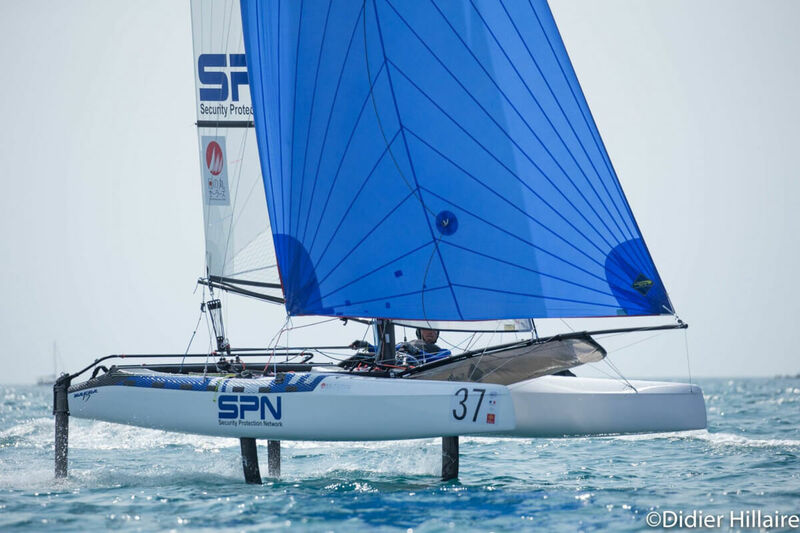 ​Since no existing design or class fits the ISAF specs, we decided to create an all-new design that is about 17 feet long, called the NACRA17. 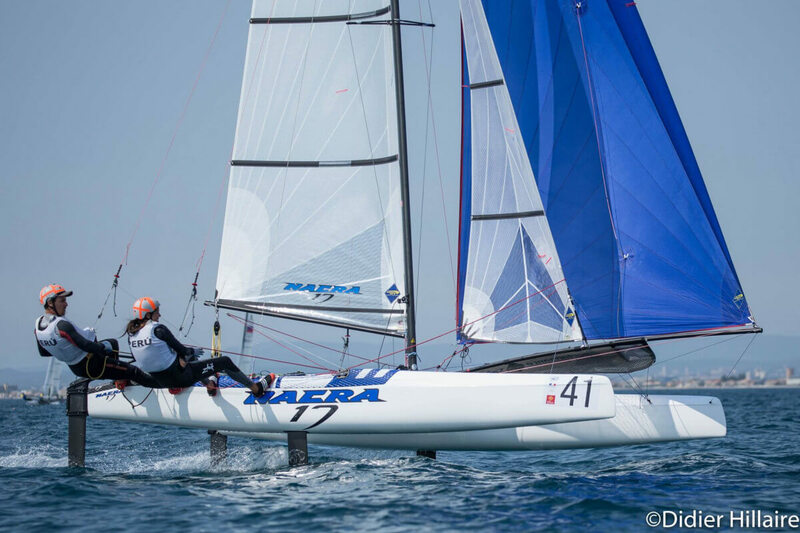 Compared to an F16 class catamaran, it is 250mm longer, 100mm wider, has a taller mast and more sail area, and curved dagger boards. 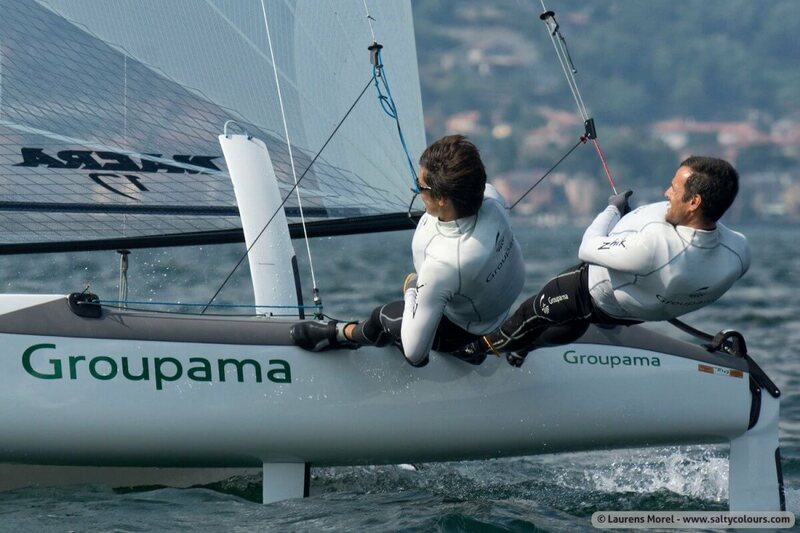 ​Curved dagger boards are a relatively new technology that is quickly gaining acceptance in catamarans. 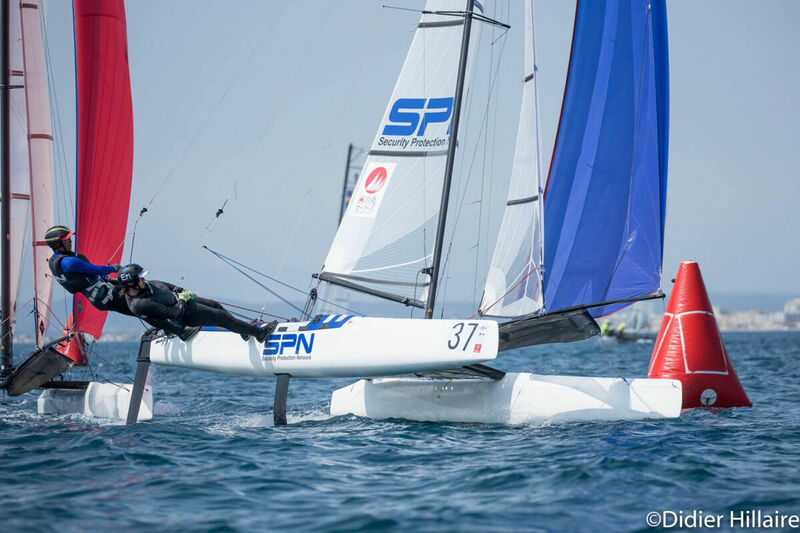 They have been used mostly on offshore trimarans in the past, and used primarily as a way to increase longitudinal stability and shift underwater center of effort forward to prevent leeward helm downwind. 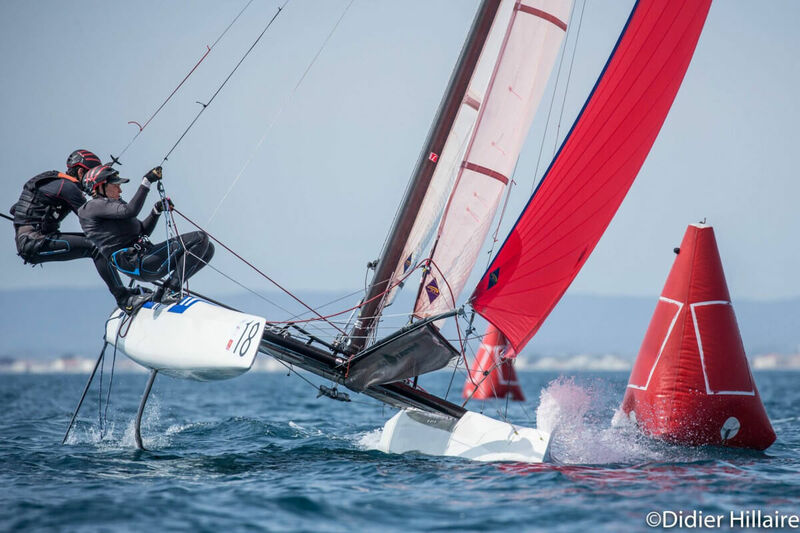 These trimarans all have center-hull straight dagger boards for upwind sailing. 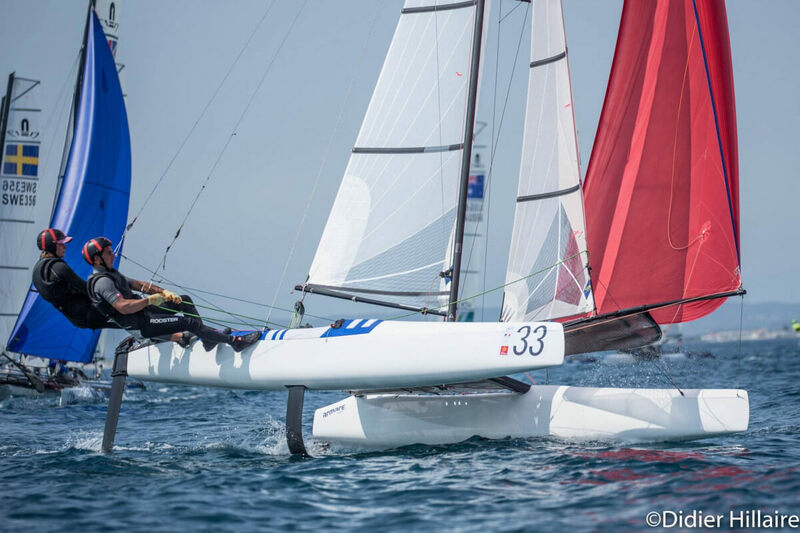 ​In the last few years curved foils have appeared on A Class catamarans, the NACRA F20 Carbon and SL33 catamarans, and some custom and limited production catamarans. 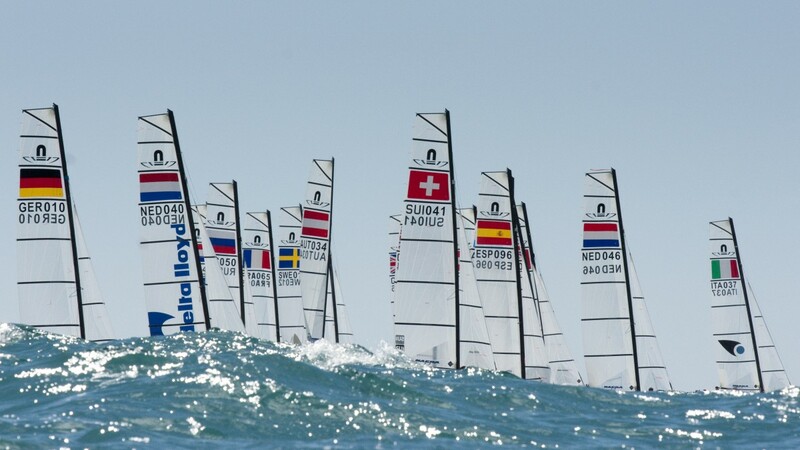 All of these designs successfully incorporate constant-curvature dagger boards, commonly referred to as “C foils”. 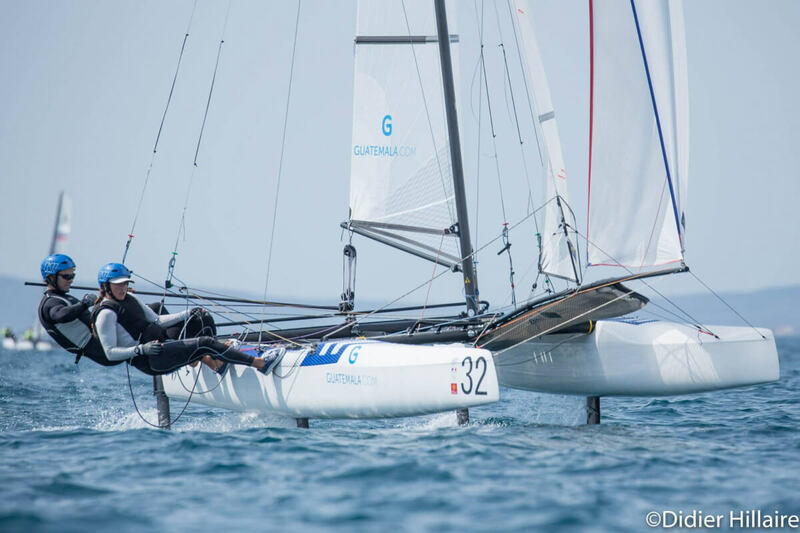 The innovation with the curved foils on catamarans is that they are used to enhance performance for both upwind and downwind sailing. 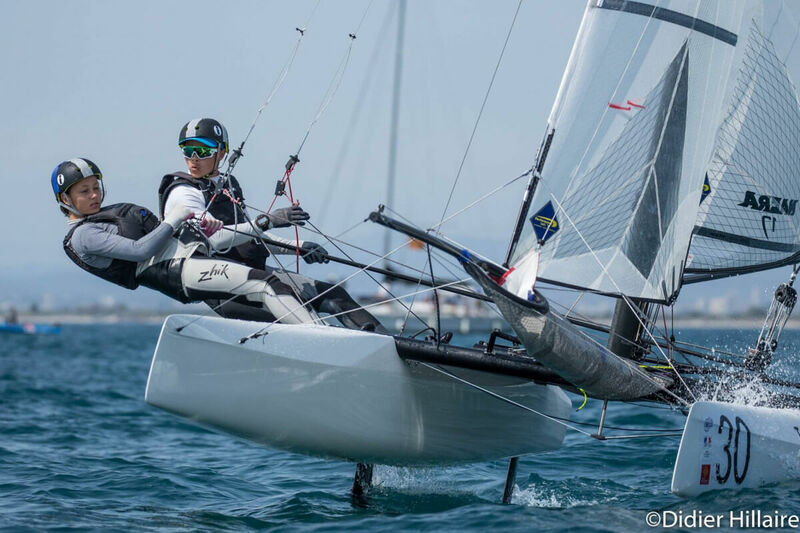 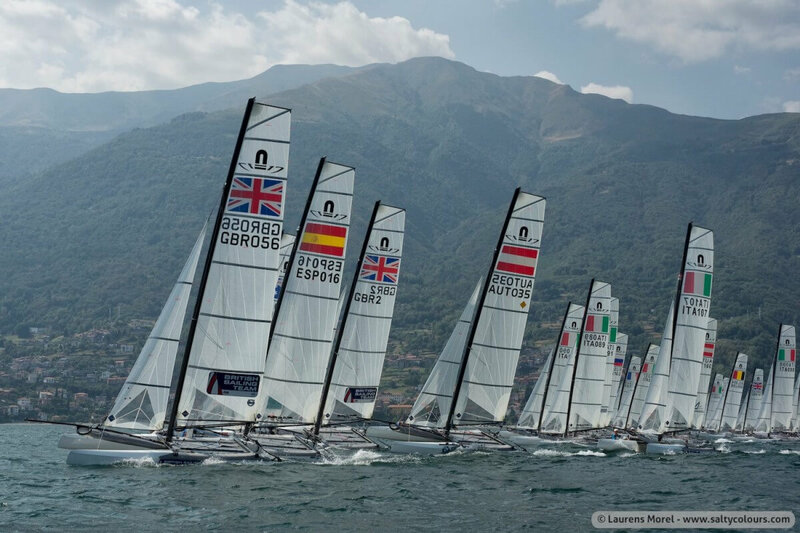 ​Performance improvements with the c-foils have been well documented in the A class catamarans and c-foil equipped boats have won the World Championships for the last several years. 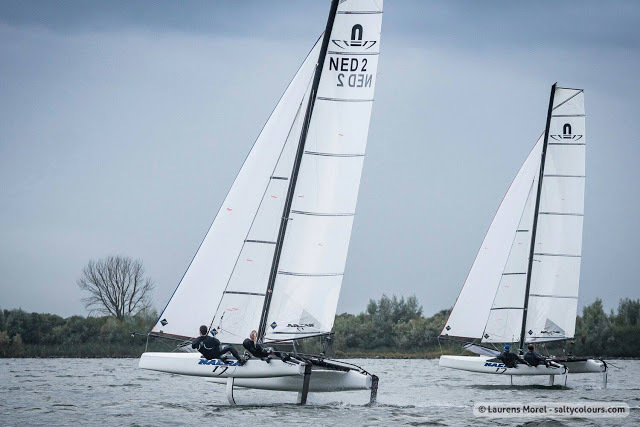 Other foil geometries have been tested on the A Class cats but so far the c-foils have proven to provide the best all-around performance and are by far the most user-friendly and practical solution. 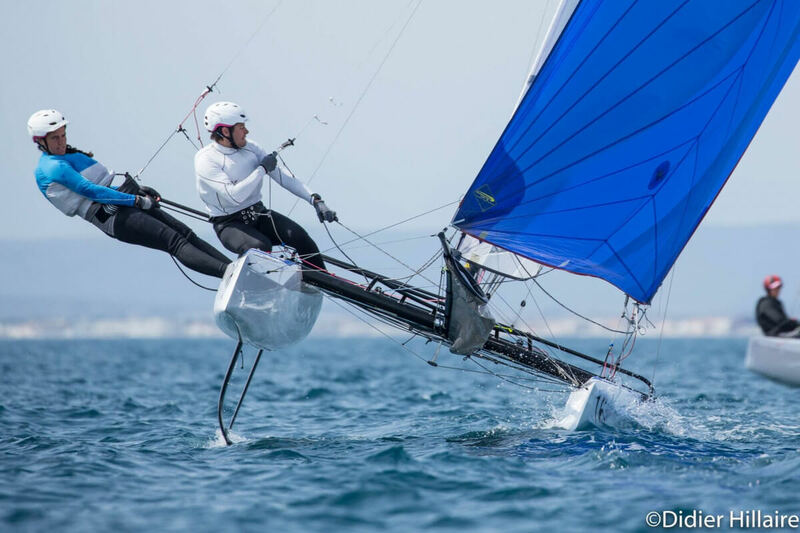 C foils have proven to make catamarans easier to sail, especially downwind. 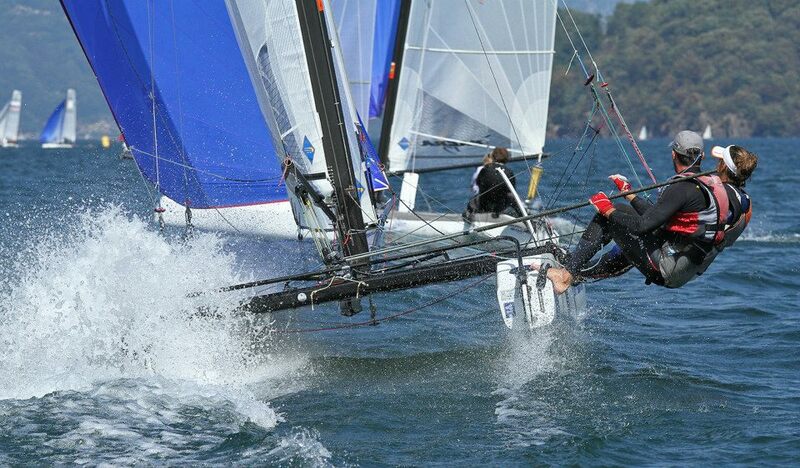 They provide lift which helps keep the bows up and reduces the tendency to pitch pole. 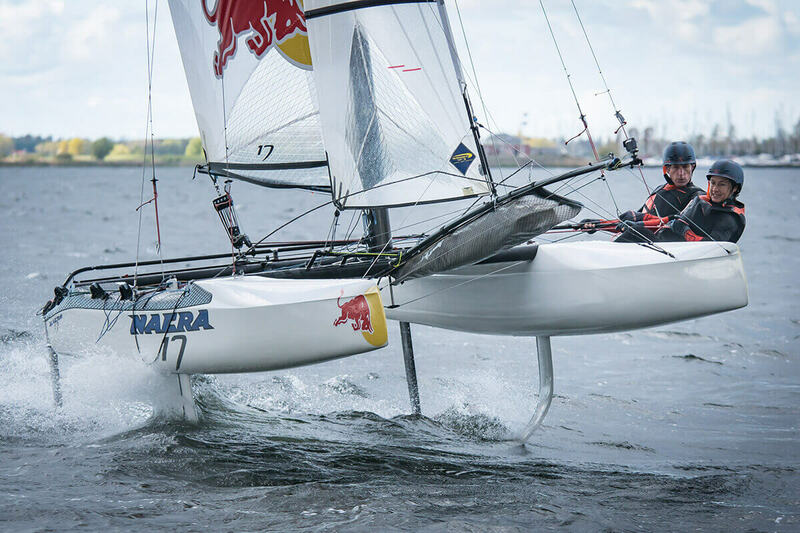 The extra lift generated from the foil helps reduce hull wetted area and markedly reduces hull drag. 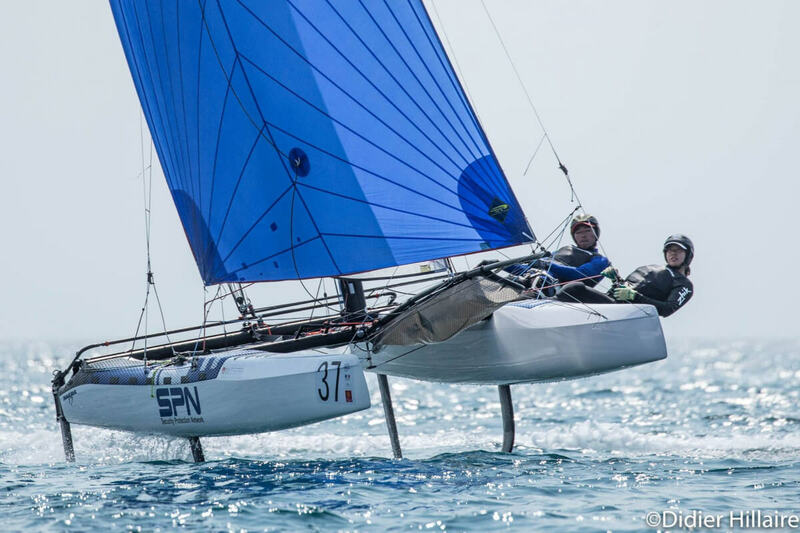 There are other foil geometries that could provide efficient lift but all the ones we evaluated for the NACRA 17 had issues that we determined were not suitable for this type of boat. 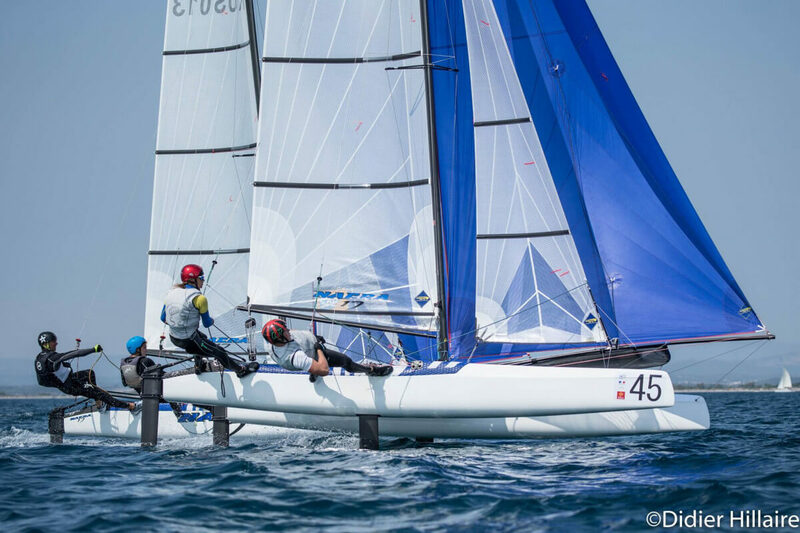 For instance, L foils are not able to be retracted from the top and would make launching and beaching problematic.We are also not convinced that L foils would be faster on this type of boat. 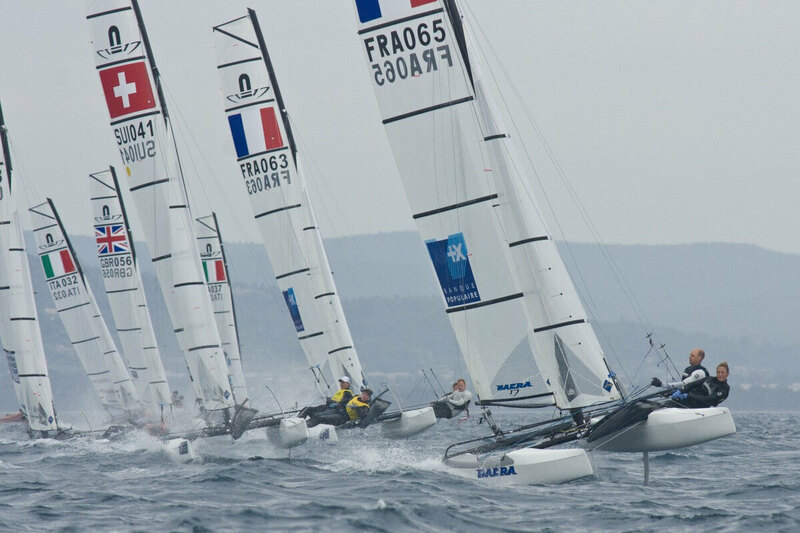 They would certainly create more drag in light air, due to having more wetted area. 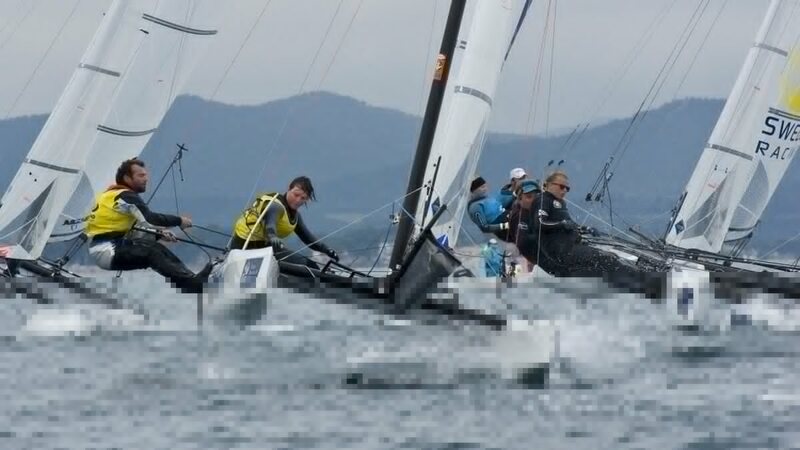 The windward L board would also need to be lifted to reduce drag and unwanted vertical lift on the windward side, thereby making the boat much harder to tack. 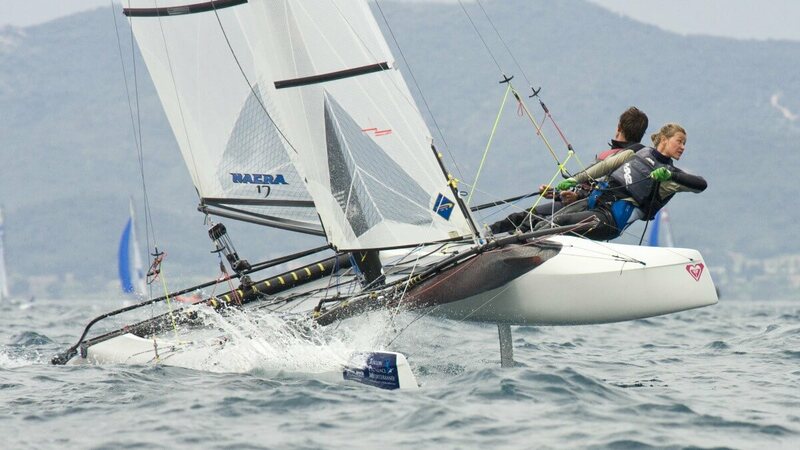 C foils can be left down on the windward side since they automatically reduce their vertical lift when on the windward side. 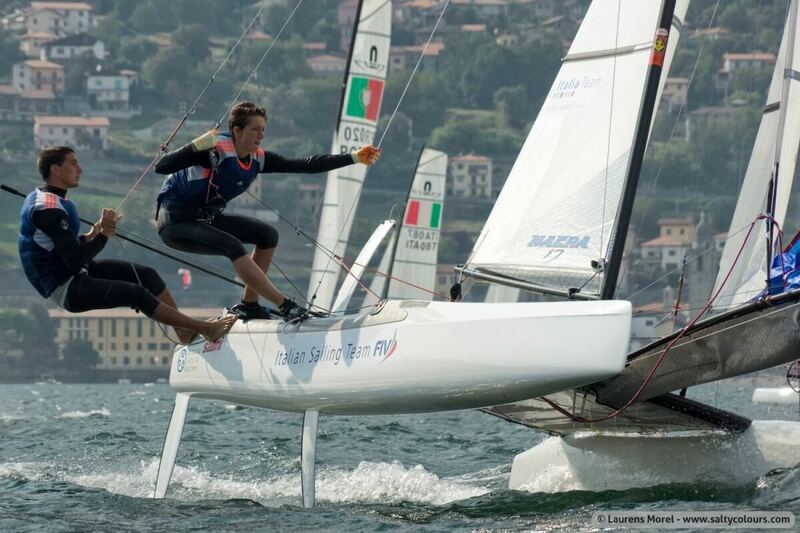 C-foils make the boat more exciting to sail. 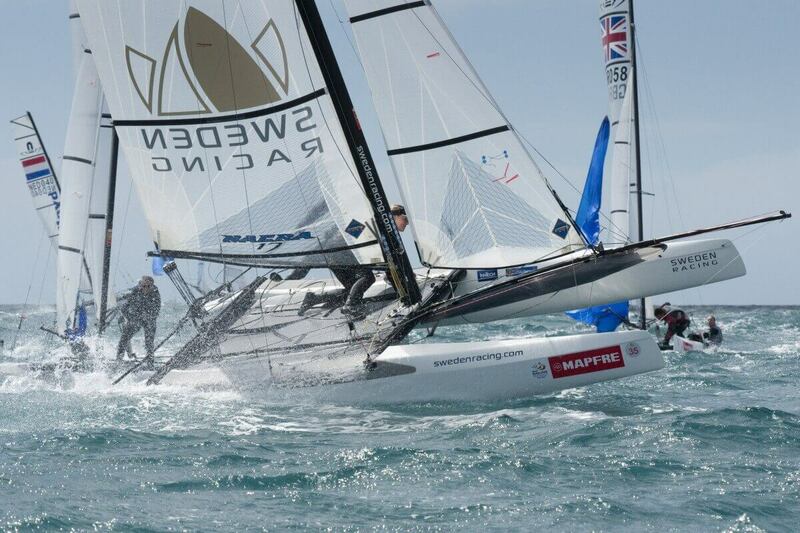 The ISAF Olympic Multihull Evaluation Committee report and individual sailor reports confirms this. 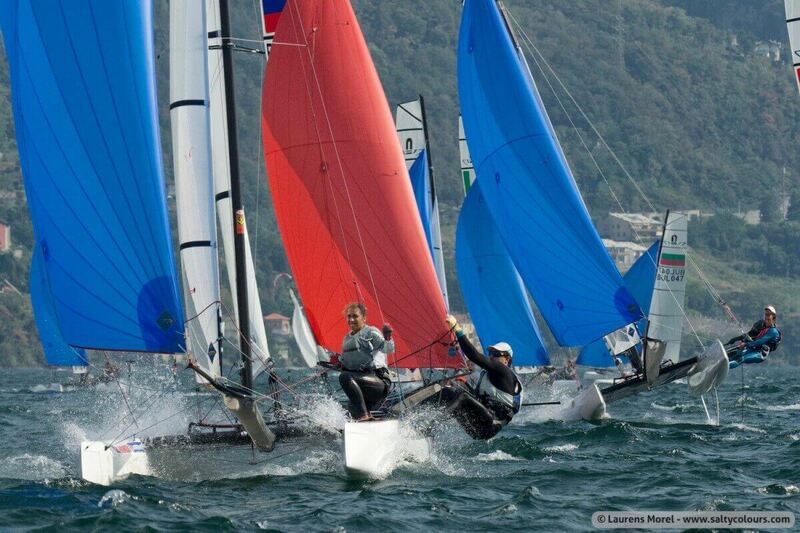 There is an added dimension of control and speed that can be attained after gaining some experience sailing with them. 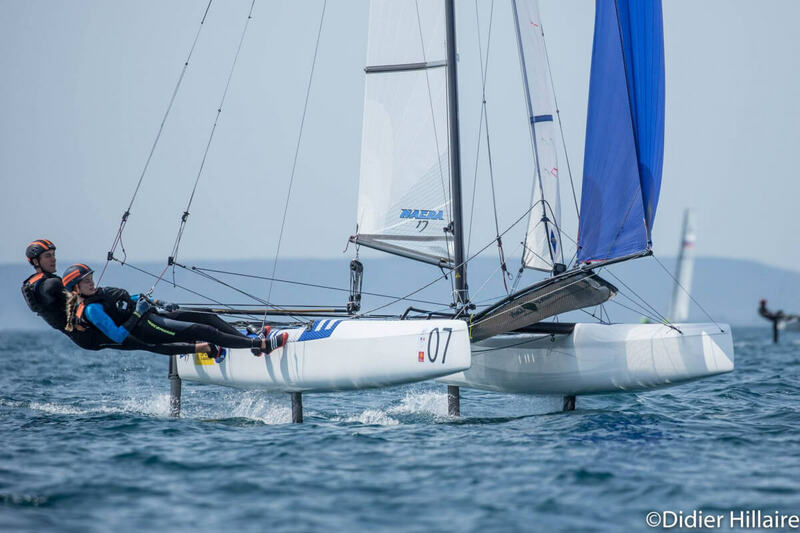 We believe that this is an area that should be exploited with a modern racing catamaran and is why you see them on the NACRA 17, NACRA F20 Carbon, and SL33 catamarans.The hull shape of the NACRA 17 was designed specifically to work in harmony with the C- foils.You can add lifting foils to conventional catamaran hull shapes, but you will not realize the full benefit of the foils. 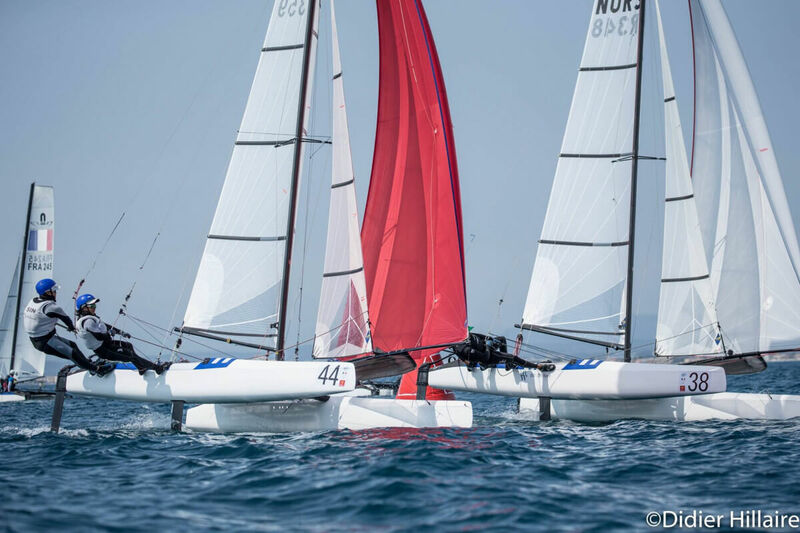 This fact has been proven in the A Class catamarans and is apparent to those who are designing the next generation of Americas Cup catamarans.The NACRA 17’s new-generation hulls have about 40% greater longitudinal stability than recent conventional shaped catamarans.